ConsLeft hand trigger a bit stiff. The right hand shifter works brilliantly, the left hand one is ok, but a bit stiff in operation. The shifter picture shows 3 positions and the double derailleur only has two? Unfortunately this is not compatible with a double front, only a triple. We do not currently stock any 7 speed double shifters. Will these fit drop bars? Will these fit on drop bars? If not do you have anything 7 speed that will? 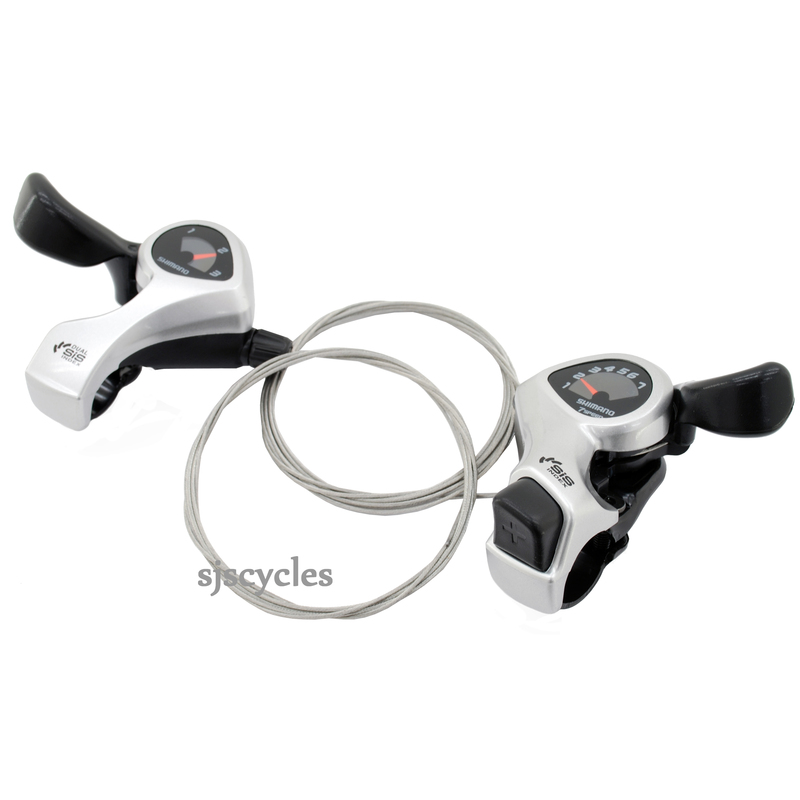 Which thumb shifters will work with an 8 speed Altus rear, 3 speed front? We don't have many options in 8spd, so you could either go for the Sunrace options (compatible with Shimano) which are SJSC part numbers 37383 and 37384 or go for the Ultegra set which are SJSC part number 17429.